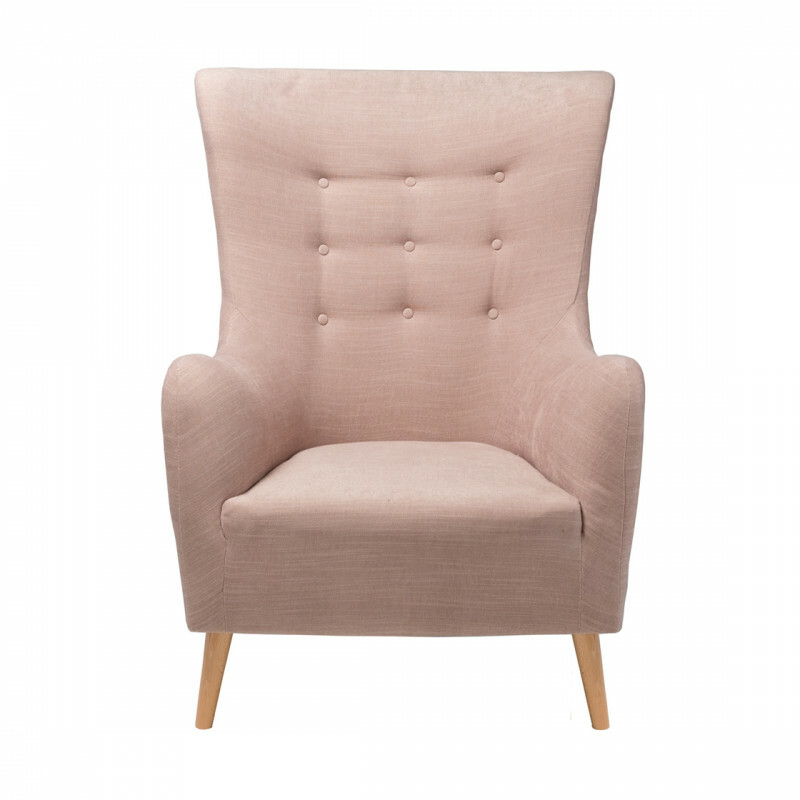 This fine-looking wingback chair is upholstered to a high standard and is complemented by contrasting wooden legs. The seat back has a button detail and has been designed with comfort and style in mind. Its neutral tone makes it a very versatile choice for events and exhibitions and can be dressed up or down. To complete the look you may choose to pair with the Roxy sofa. Why not match with gold or silver tables to achieve a vintage style look.